Have you ever wondered where one of the world's most prestigious collections of waterliles in the US can be found? Probably the last place you would guess is San Angelo, Texas but you would be wrong. Ken Landon, the owner and director of this collection displays it at Civic League Park in San Angelo. 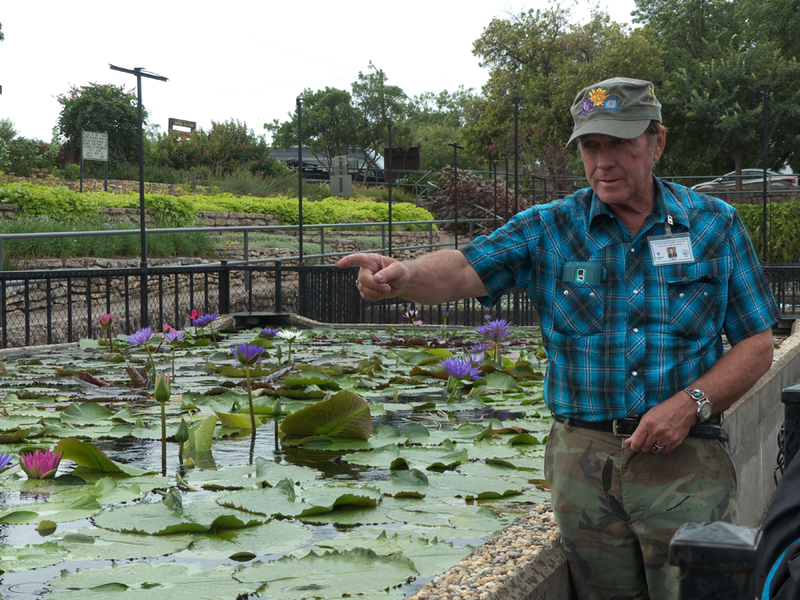 The facility is called The International Waterlily Collection. Gazing over the seven raised pools filled with a treasure trove of eye candy in the form of rare and even one-of-a-kind waterlilies you will be amazed at the beauty. And this is only a portion of Ken's collection. I visited there several months ago and couldn't stop snapping pictures. 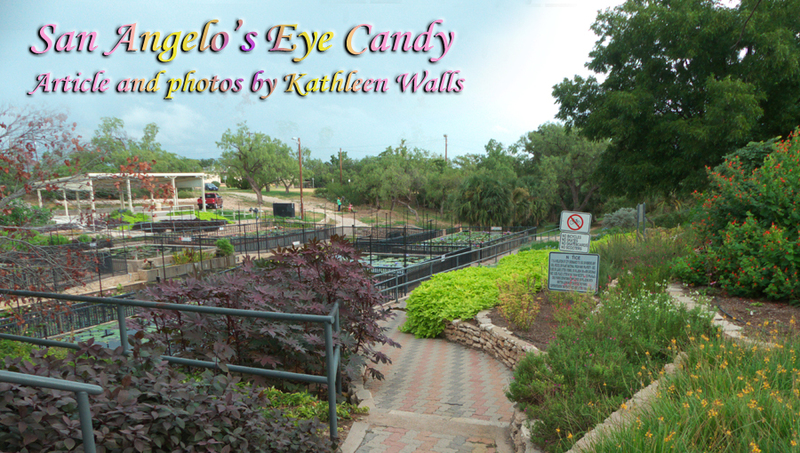 I'll try and bring Ken's treasure to life for you with this article but nothing will replace visiting San Angelo and seeing it for yourself. I'm going to be making a semi-educated guess about the names of these beauties but don't hold my feet to the fire if I am wrong; I'm not a botanist. 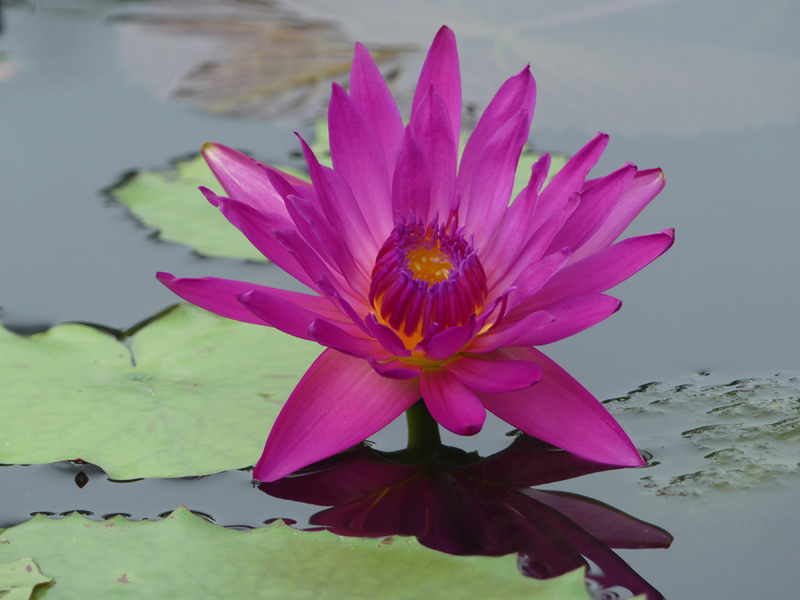 Ken is passionate about waterlilies. 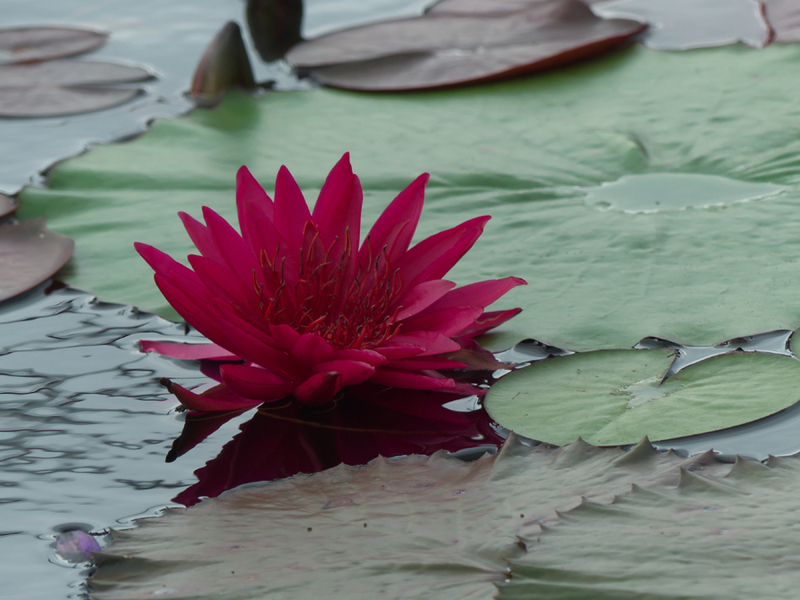 He told us "Many of the lilies here are now extinct in the wild. 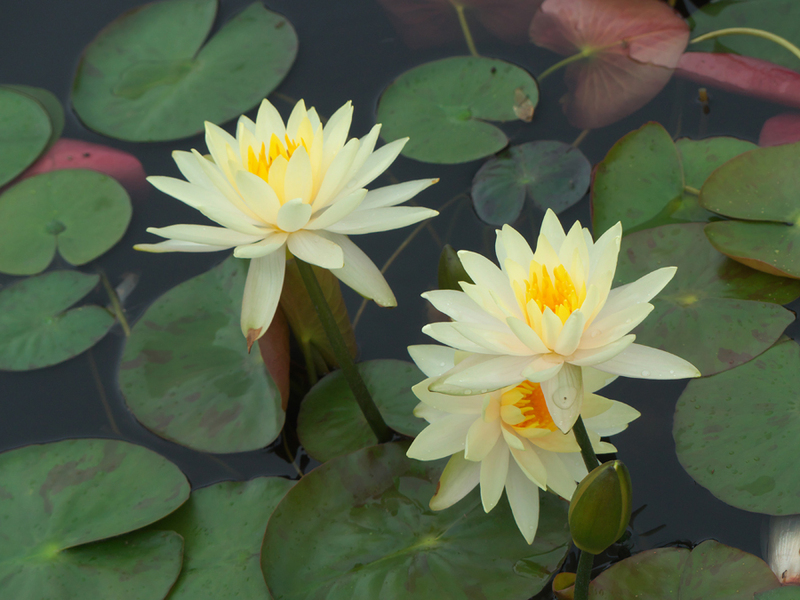 I'm president of the International Waterlily and Preservation Repository and we're trying to preserve these lilies. Ken is an expert at hybridization. He has succeeded in crossing plants that traditional botanists said could not be done. Blue Cloud above is one example. 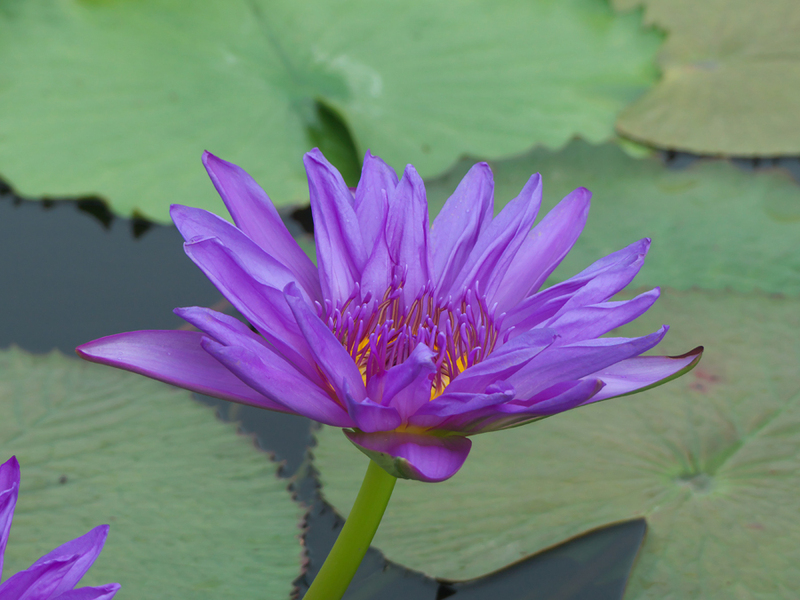 "It's the most sought after waterlily in the world." 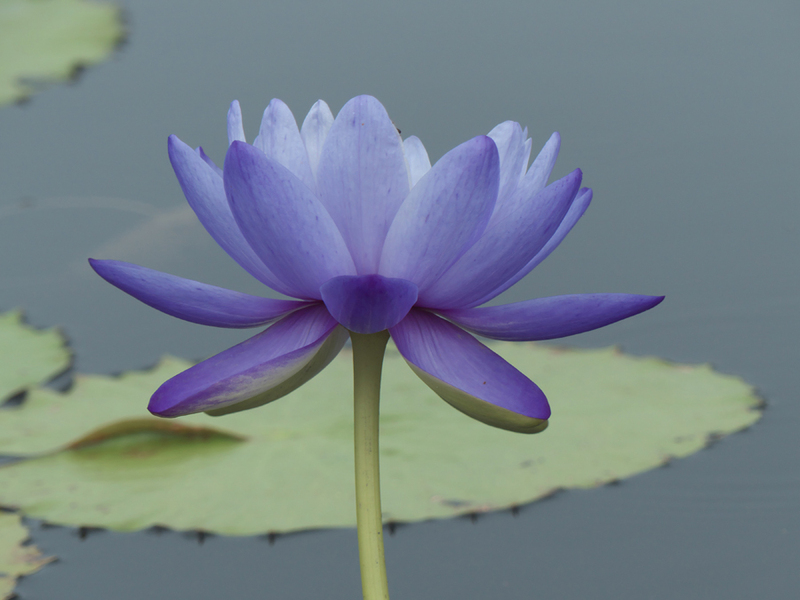 (Unless I pointed my camera wrong) Ken explained "Blue waterlilies like this do not occur in nature. Me and two other guys made something that doesn't exist anywhere in nature" Ken concluded "it was like crossing a dog and a cat. Mother Nature says you're not supposed to do that." 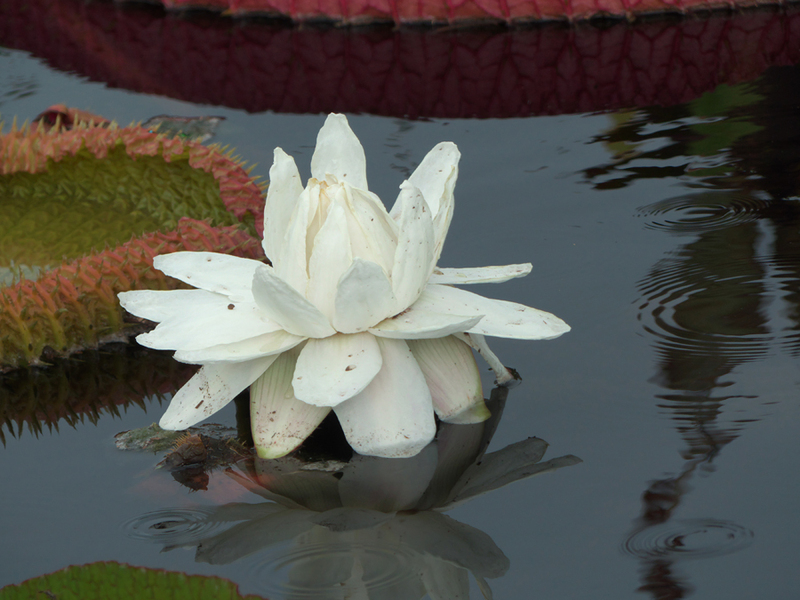 One waterlily here, a Victoria Longwood Hybrid Nutt, was developed by Patrick Nutt from Longwood Gardens who crossing the two species plants (V. cruziana x V. amazonica) The Victoria Amazonia, one of the parent plants, is only found in the Amazon jungles. One unusual thing about this plant is that the flowers are creamy white the first night. Then they close and reopen the second night as pink and the third night a darker red. Here's another dark red beauty. I believe it is called Nymphea Red Flare. This one is Nymphaea Fuchsia Pom Pom. It almost looks like a mini sunset inside the pedals. 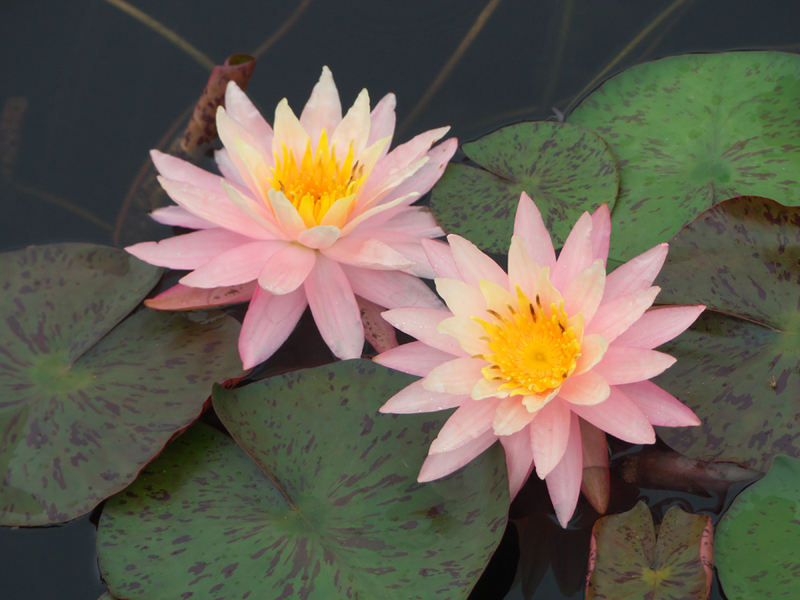 I think this delicate waterlily is a Nymphaea Suwannata. Ken told us that in nature a "perfect" flower is white. It is the imperfections that create color. This one called Nymphaea Walter Pagels and the one below, Nymphaea Bride's Maid are almost pure white and very beautiful. But the colored ones really shine also. This can only give you a tiny glimpse of this colorful garden. The beauty here has to be seen to be believed.